A little Alan Tiegreen for your Monday morning. And does that hand-clapping rhyme bring back any memories for anyone? A little while ago, Avery started coming home and singing parts of rhymes that she had learned from friends at school. I decided to buy her this collection of playground rhymes by Joanna Cole and Stephanie Calmenson so that she could memorize a few more to chant with her friends at recess. It was definitely a perk that Alan Tiegreen illustrated this book—seeing his work conjures up heaps of nostalgia since his pictures graced the pages of some of my favorite Beverly Cleary books. 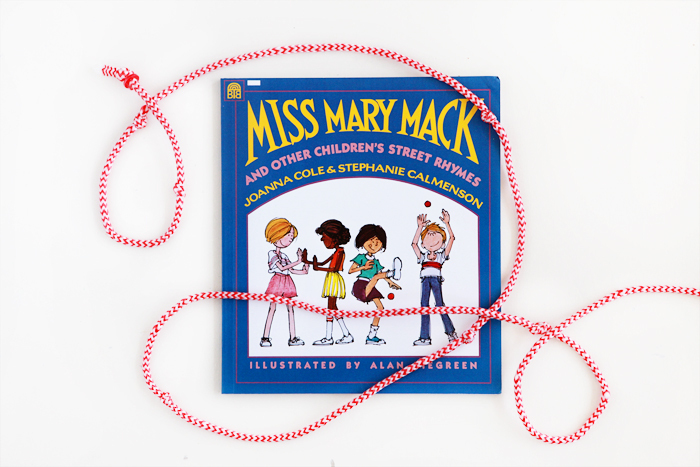 Miss Mary Mack and Other Children's Street Rhymes is by Joanna Cole, Stephanie Calmenson and Alan Tiegreen.